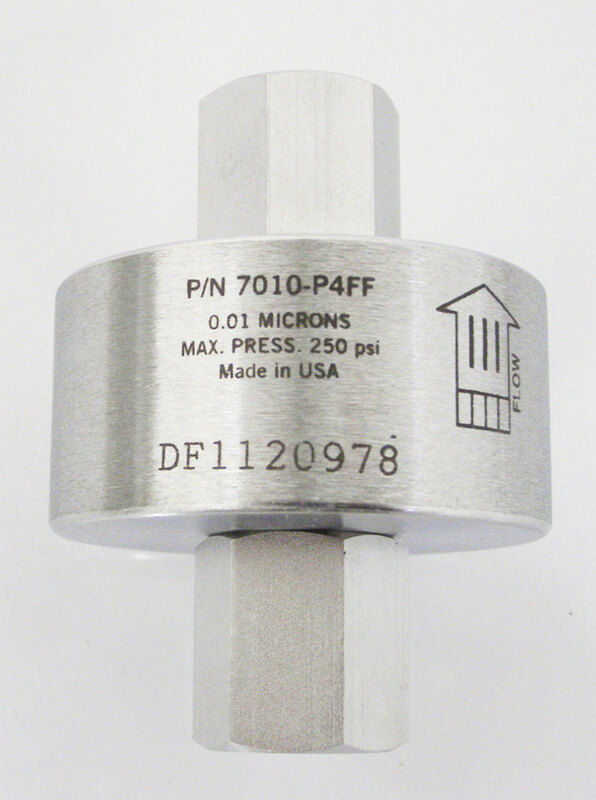 The Series 7010 depth filters are the workhorses of laboratories and many high purity industrial processes. They are routinely used in critical gas lines and as pre-filters to extend the lifetime of more expensive filtration units. They are designed to provide high filtration efficiency at an economical cost. The Series 7010 filters employ a microporous fiberglass media held in a 316 stainless steel all welded housing. They are available in two sizes that accommodate most flow requirements. 99.9999% filtration efficiency at 0.01 micron level. All welded 316 stainless steel construction provides compatibility with a variety of gases. Long service life - particles are collected in the filter matrix throughout the depth of the filter. Filtration: 99.9999% @ 0.01 microns. Operating Temperature: 0° to 750°F.